Italy survived its first major test of market sentiment since Mario Monti resigned as prime minister earlier this month, selling nearly €6 billion of government bonds Friday at steady yields. Monti's technocrat government collapsed after former Prime Minister Silvio Berlusconi withdrew his support, throwing Italy into an election campaign that will determine whether the eurozone's second most indebted nation will continue to implement reforms launched over the past 12 months. Italy auctioned €3 billion of 10-year bonds at a yield of 4.48%, little changed from the last auction in November. It also sold €2.9 billion of 5-year bonds at a steady yield of 3.26%. Italy's government borrowing stands at about €2 trillion, equivalent to almost 130% of gross domestic product, and it needs to issue some €420 billion in bonds for 2013 to service that debt. Only Greece, which has been bailed out by the European Union and IMF, has a higher debt-to-GDP ratio in the eurozone. Monti's commitment to reform has reassured investors and his eurozone partners. Bond yields edged up on news of his departure, but are still far below the 7% seen just over a year ago, when he was appointed head of an unelected government to rescue Italy from the debt crisis that was threatening to tear the eurozone apart. Italy has also benefited this year from the as-yet untested commitment by the European Central Bank to buy the bonds of ailing eurozone states, provided they request a formal bailout and agree to the conditions attached. 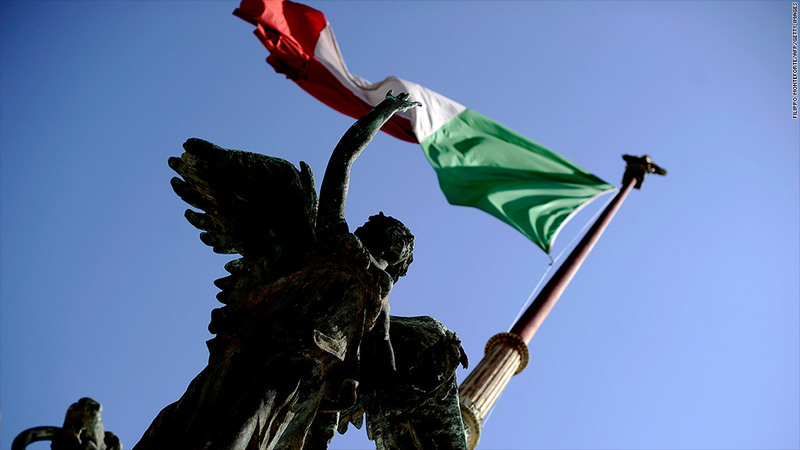 "That Italy is able to sell 10-year paper at a yield of 4.5% eight weeks before a crucial parliamentary election says much about the dramatic shift in sentiment towards the eurozone," said Nicholas Spiro, managing director of Spiro Sovereign Strategy. "Yet the fact remains that complacency has seeped into Italy's bond market. Italy faces a tough 2013. It has already been in recession for five consecutive quarters. The economy is expected to contract by 2.4% in 2012, and shrink again next year. Some private forecasters believe budget targets Monti set for 2013 were overly optimistic, and that further austerity measures will be needed to wipe out the structural budget deficit. Opinion polls suggest the center-left Democratic Party led by Pier Luigi Bersani -- who supports much of Monti's program - will win the lower house elections due in late February, but he may need to build a coalition to gain a majority, and the election could become a referendum on austerity. Monti, an economics professor and former European Commissioner, signaled earlier this week that he may be ready to lead Italy again if a party or coalition came forward with a program he could support. He has called for the next government to accelerate his reforms and open up Italy's labor markets. Investors looking for continuity after the election would welcome a role for Monti in the new government but some analysts caution that the "Monti effect" could have unintended consequences. "Although a Monti-led centrist alliance would draw votes away from both the center-left and center-right, it would also lead to a much more fragmented parliament and, quite possibly, an awkward coalition government with a questionable commitment to reform," said Spiro.